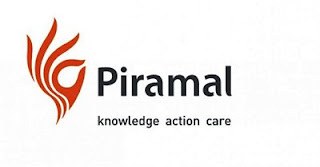 Piramal Group is looking to hire over 1,000 people this year, of which about 100 are likely to be from the country’s premier engineering and management institutes. The current headcount of the group is 14,500. The group would be visiting premier B schools and engineering colleges, including the Indian Institutes of Technology (IITs) and Indian Institutes of Management (IIMs). Hiring from campuses is not new for the Piramal Group, where the average age of an employee is 32 years. Last year, the company hired close to 90 students from engineering and management schools up from 35 students the year before. The company prefers the internship route in campus hiring. “Almost 90% of the campus hiring is through PPO route. An internship gives both the students and the company enough time to understand the compatibility quotient,” said Vikram Bector, president and CHRO, Piramal Enterprises. “Most of the hiring is growth-based, mainly led by its verticals—pharmaceuticals and financial services,” he said. In addition, the company is also starting its ‘Future Leaders Programme’ this year. “This is the first year of Future Leaders Programme—a subset of Piramal Headstart, where millennials are hired from India’s management institutes. They are mentored and prepared to ensure that our future leaders hit the ground running,” he said. The company is looking at premier B-schools like the IIMs for handpicking young talent for its newly launched programme. Future Leaders Programme is a two-year career development course entailing three six-month stints each across the group’s businesses, coupled with a two-month stint at the Piramal Foundation. The group’s four key companies are Piramal Enterprises (including pharma and finance), Piramal Glass, Piramal Realty and Piramal Foundation. Piramal Group has offices in 30 countries with a brand presence in 100 global markets. Piramal Group also has an ongoing Piramal Learning University programme, where it identifies and accelerates the career and learning of high performers. "This is our talent nursery, where we identify high potential talent who undergo rigorous learning and training,” Bector said.